Browse: Home / 2018 / November / 28 / Wilder vs Fury: Who’ll win the fight for the right to unify the heavyweight division? Wilder vs Fury: Who’ll win the fight for the right to unify the heavyweight division? 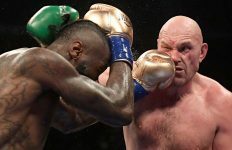 The WBC heavyweight championship of the world is on the line at the Staples Center on December 1 as Deontay Wilder looks to defend his world title against former world champ Tyson Fury. It’s an epic heavyweight title fight with huge ramifications not only for the WBC title, but for boxing’s heavyweight division as a whole. With Britain’s Anthony Joshua in possession of the other major heavyweight world titles, the winner of the Wilder-Fury clash will put themselves in prime position for what could become the most lucrative heavyweight fight in years – a unification battle with Joshua that would produce a sporting rarity, an undisputed heavyweight champion of the world. But before thoughts can turn to a megafight with Joshua, there’s the not insignificant matter of Wilder vs Fury on December 1. In effect, it’s the fight for the right to try to unify the heavyweight division. It’s a matchup that has the boxing world split on the outcome, but the bookies are unanimous. Wilder is the 8/13 favorite in the heavyweight betting with William Hill, with Fury an 11/8 shot. Wilder’s record leaps off the page. Forty fights, 40 wins, 39 knockouts. 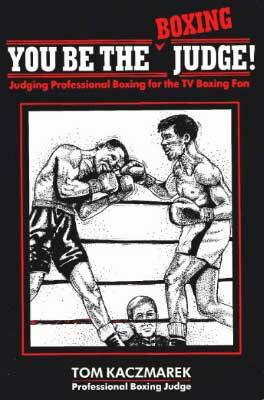 There’s very little you can pick at if you’re looking to criticize “The Bronze Bomber”‘s resume. Fury’s record is also an undefeated one, but his more modest finishing rate of 19 KOs from 27 career victories is put in the shade somewhat by Wilder’s incredible knockout tally. Both men undoubtedly have knockout power at the highest level, but it’s Wilder who poses the clearer KO threat heading into their clash in LA. 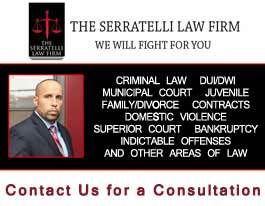 Heavyweight boxing often sees fights finished inside the distance, but at the highest level, where the top fighters can defend themselves better against elite-level punchers, cardio and conditioning can be a major weapon. Fury has a proven track record in staying in there against hard-hitting opposition and taking them into deep water. He did exactly that against Wladimir Klitschko as he captured the WBO, WBA, IBF and IBO versions of the heavyweight title in Dusseldorf in November 2015. He’d also shown similar qualities against hard-hitting Brit Dereck Chisora not once, but twice, earlier in his career. 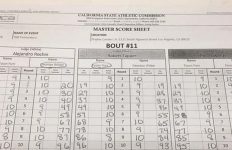 Wilder’s stellar KO record means he’s only ever gone the distance once, so he isn’t as au fait with managing a bout to the scorecards with elusiveness and quick footwork. 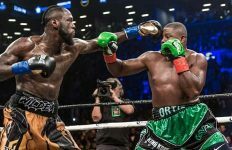 The bout offers a classic puncher versus boxer matchup, and the sort of styles clash that we rarely see in heavyweight boxing at world championship level. Both are tall, rangy athletes. Both have world championship pedigree, but the two couldn’t be more different in their respective approaches. And this bout, perhaps more than any other heavyweight title fight in recent years, offers a matchup that could genuinely end up panning out at either end of the results spectrum. We could see a quickfire KO (most likely by Wilder) or we could see a gritty, 12-round battle that goes all the way to the scorecards (an outcome that would appear to favor Fury). 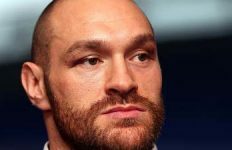 To paraphrase an age-old boxing adage, however, it pans out between Wilder and Fury on December 1, somebody’s 0 has got to go.